The Chaotianmen Port is the oldest in the city and the largest of the gates to the city. The original gate has been replaced and the current Chaotianmen Square was built in 1998 to resemble the bow of a ship. It is one of the largest roofed squares in China. 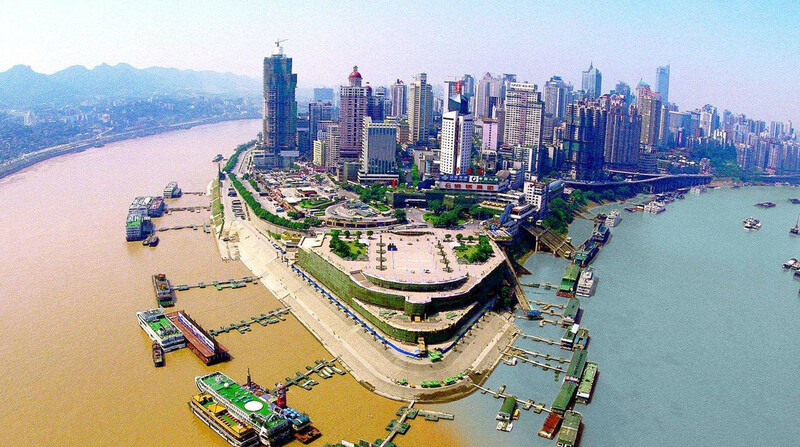 From the square, there’s a panoramic view of confluence of the Yangtze River and the Jialing River and the surrounding hills. The area is still a bustling wholesale market for good, cheap clothing, fabric, home furnishings and everyday necessities. Day and night River Cruise leave from the docks and tickets can be purchased at any of the many travel agencies at Chaotianmen dock for about 80-150RMB/person, for a two hour cruise with dinner included. Cheaper without dinner. 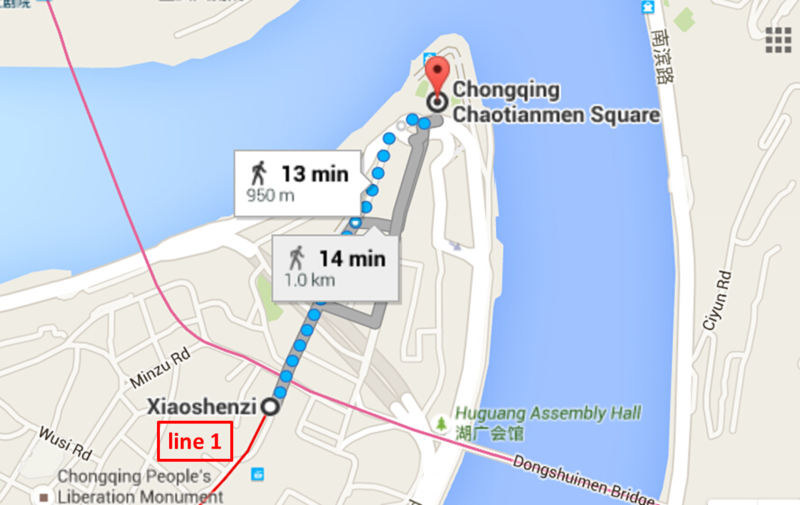 You could take Line 1 to Chaotianmen Station there.